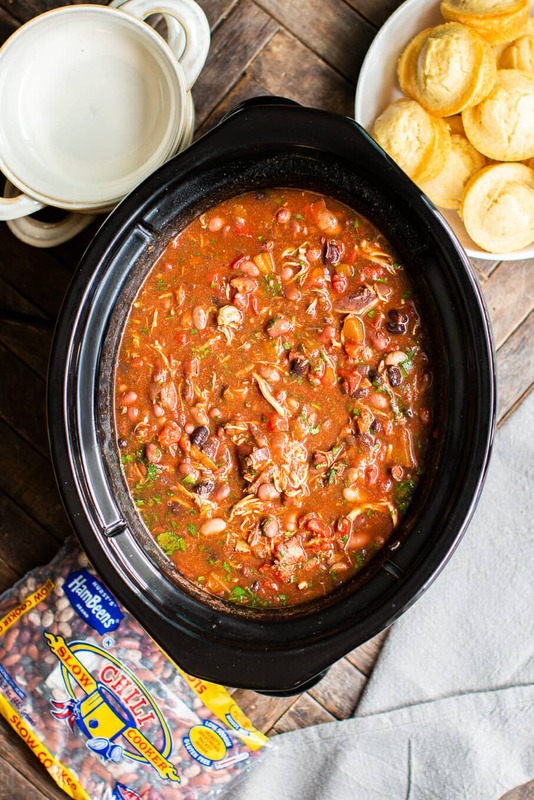 Slow Cooker Chicken Chili is made easy with Hurst’s® HamBeens® Slow Cooker Chili mix! 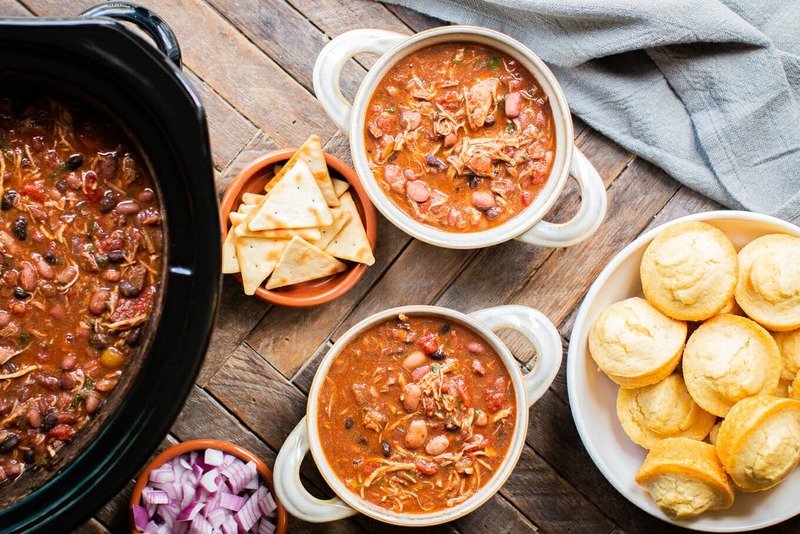 This recipe is Sponsored by Hurst’s® HamBeens® Slow Cooker Chili though all opinions are mine alone. Hello! 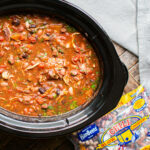 Today I am sharing this easy Slow Cooker Chicken Chili recipe made with Hurst’s® HamBeens® Slow Cooker Chili Mix. You can find where this mix is available in your area here. 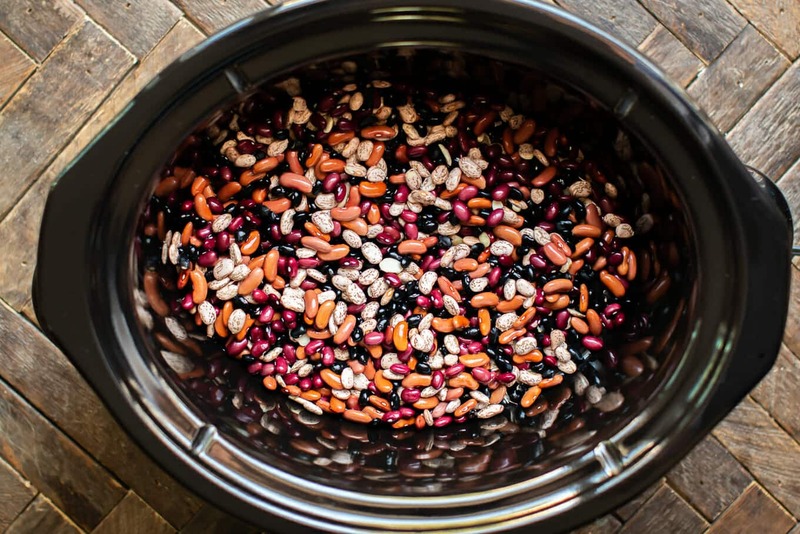 Hurst’s® sells many more bean mix varieties, they’re most widely known for their 15 bean soup mix. Stay tuned here in the next few months I have 2 new recipes made with their 15 bean mix, I’m bursting at the seams not sharing them yet. Below you will see that the Slow Cooker Chili Mix has pinto beans, small red beans, black beans and kidney beans. 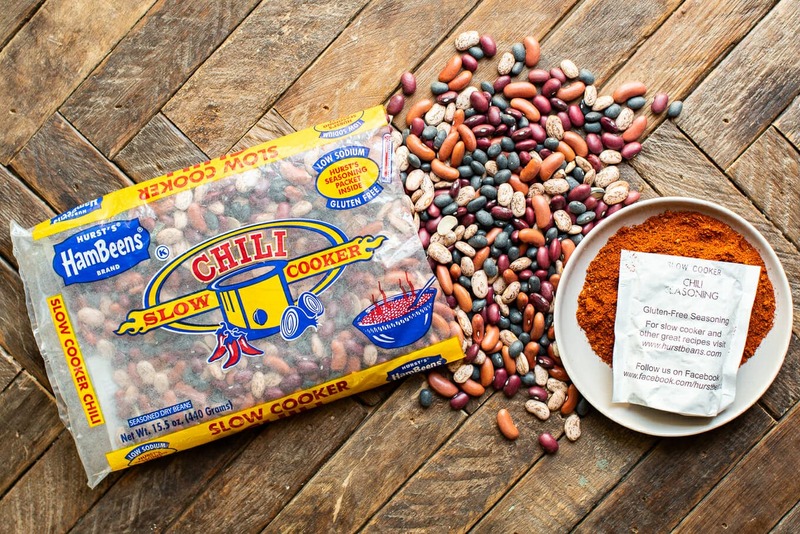 This is a great bean mix for chili since I usually can’t decide on one bean anyway. 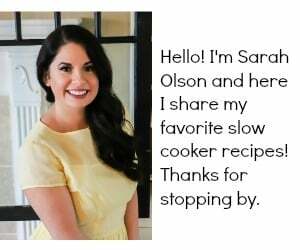 The Slow Cooker Chili mix comes with a chili seasoning packet that is low is sodium, so you can control how much salt you want to add. I recommend adding the salt and any tomato products at the end of the cooking time, these both can inhibit the bean softening process if added at the beginning of the cook time. Below is the chili after cooking on high for 5 hours, then the tomato products are added to the pot and cooked for 30 more minutes. 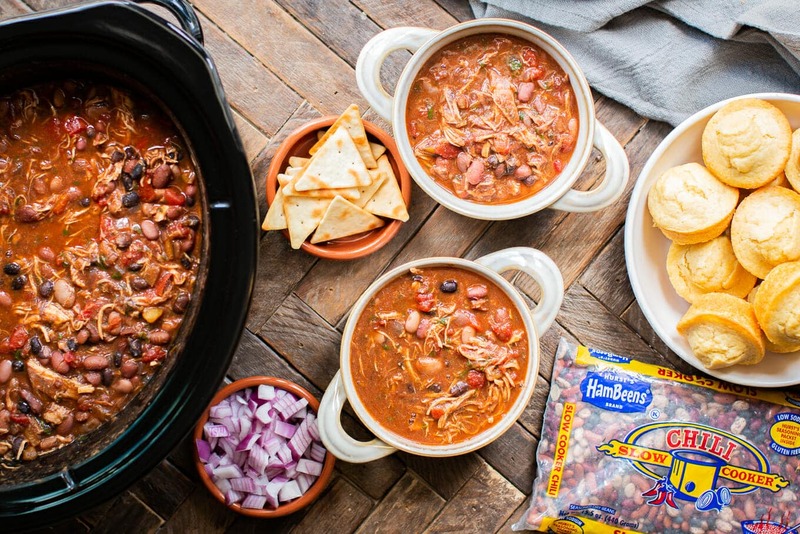 Hurst’s® HamBeens® is a family run company who I’ve got to know over the last month and I am proud to share their products with my recipes on the blog. 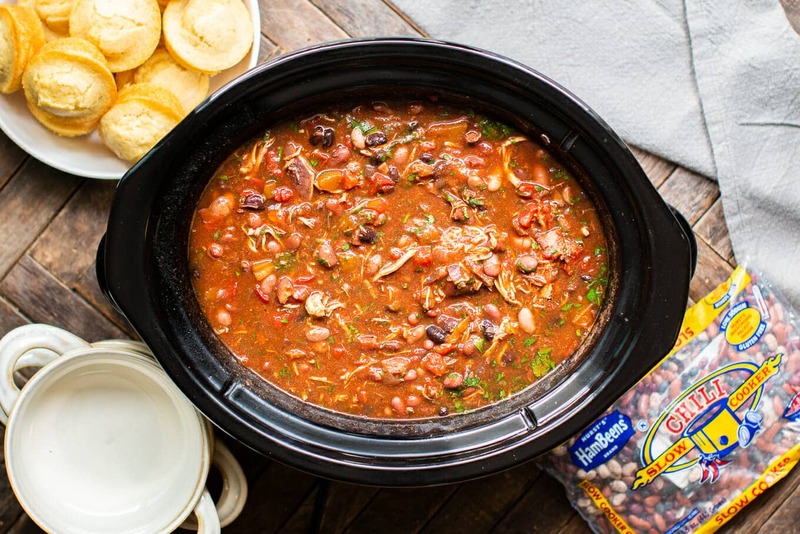 Their bean mixes and the slow cooker go perfect together and what’s great is you can make the recipes your own by adding your favorite ingredients. You can see more recipes that work with their products here. I hope you stay tuned over the next few months to see what else I am cooking up with Hurst’s® dried bean mixes. You can see the video about how to make this chili in the recipe box below. 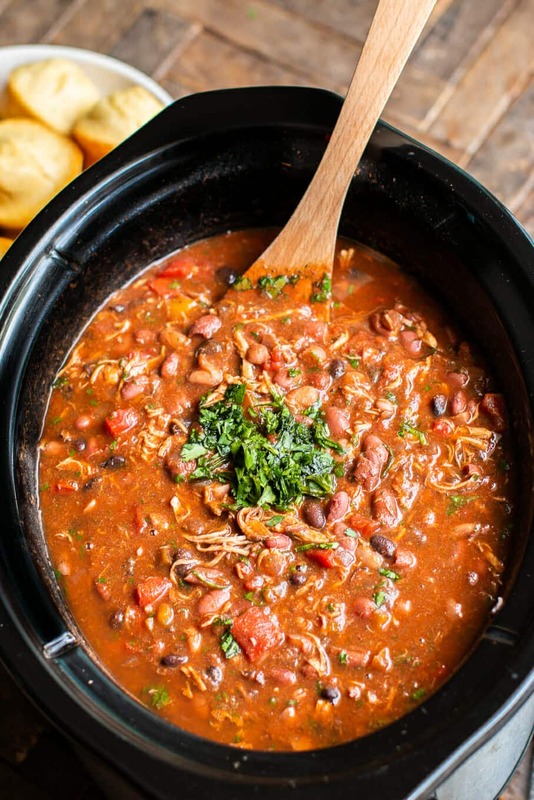 Have a great weekend and I hope you try this chili recipe soon! Rinse and sort through the dry beans, sort out any debris and discard. Add the rinsed beans to the slow cooker. Add the chicken breasts, onion, bell pepper, garlic and water. Add half of the chili seasoning packet (included in the bean package). Do not add tomato ingredients, salt or cilantro yet. Cover and cook on HIGH for 5 hours without opening the lid during the cooking time. Shred the chicken with two forks, you can shred them right in the slow cooker. Add the diced tomatoes, tomato paste and remaining chili seasonings stir until combined. Cover and cook for an additional 30 minutes on LOW heat. Add salt to taste and stir in the cilantro. Serve with desired toppings and enjoy! I’m a great fan of your posts. However i live in NZ and can’t get the product you are promoting. 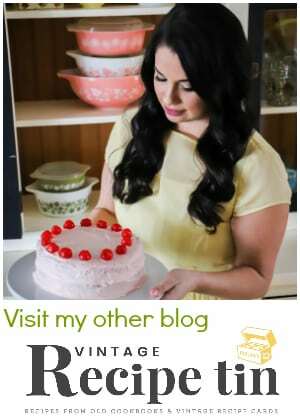 I’d be grateful if you can keen that in mind when you keep posting great recipes. Thanks. Walmart has a great selection in my area. I live in Australia and have the same problem…..can’t buy the bean mix here!!! Hi Daniela, the muffins are from a box mix. I spray my muffin tin with oil very well and they come out easily. Is there a way to buy the product online? Or just in stores? This looks amazing! Same here … can’t get the product but will try to make anyway. Just about every grocery store has a 15 bean soup mix in plain or spicy available. No recipe is written in stone so make substitution where needed. I’d just use chili beans. In Wisconsin never heard of hambeans. Hi Traci, there are quite a few varieties in Wisconsin. 🙂 I find the largest variety to be at Walmart. I went shopping at Publix yesterday and found Hambeens right on the shelf. Picked up the other needed ingredients also. Even though it’s still in the low 90’s, with our warmer than usual fall, I can’t wait to try the chili recipe..today! Thank you for sharing! Hi Maggie! I’m sorry you can’t find the beans in your area, you can order them from the website. If I was to make this without the mix I would do 1 lb of dried beans and use chili powder and salt to taste. 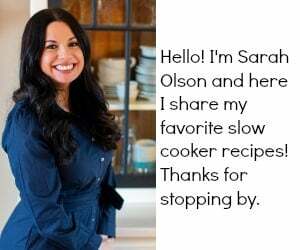 Hi Sarah, Just stopping by again to tell you everyone loved the chili! Thank you from all of us! So great to hear Debbie! I appreciate your feedback. 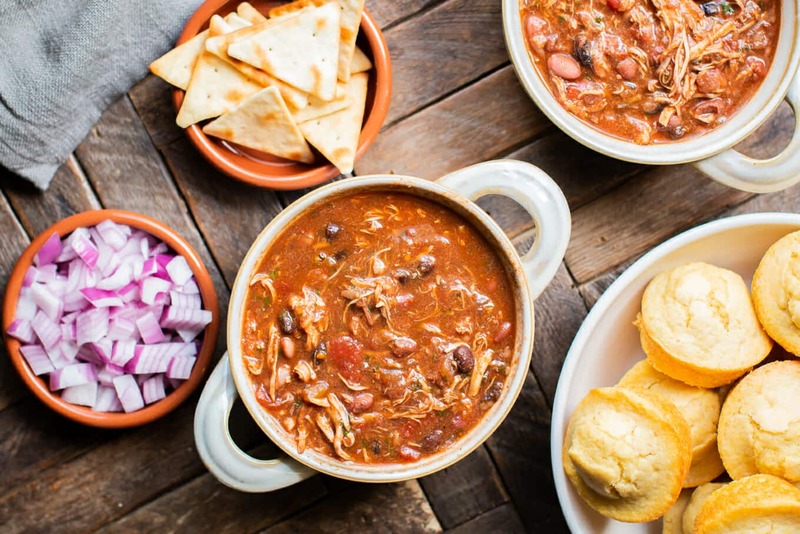 Never tried chicken chili before, it looks delicious. Curious to see how it’ll turn out. Ah thanks Connie, glad to have you as a visitor here. Any idea how to convert this recipe to using a pressure cooker instead? 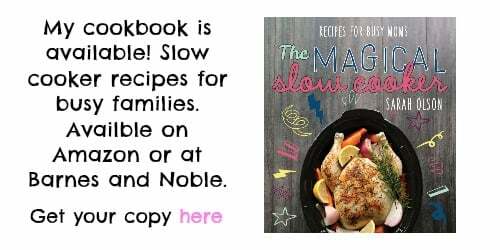 I think it would be 45 minutes in a pressure cooker. I hope that helps! What if I soaked my beans overnight, can you give a idea of how long they should cook then? Do you have to soak the beans like a regular dry bean? You do not, the beans do well without presoaking. But you can if you want. I made this over the weekend, and it is AMAZINGLY good!!! !